Nanci Creedon is a Certified Dog Behaviour Consultant with the International Association of Animal Behaviour Consultants (IAABC), and also with Association of Animal Behaviour Professionals (AABP). She has a degree in Zoology and a masters degree in Animal Behaviour focusing on clinical dog behaviour. Further information on www.NanciCreedon.ie . Nanci has been studying and attending seminars in the dog behaviour industry for over 12 years and will continue to do so throughout her career. To date she has spent almost €25,000 on continued professional development. Nanci is also a successful businesswoman, she owns and operates Creedons Doggie Daycare and is also the director of Creedons College. Nanci won Cork’s Best Young Entrepreneur in 2014 and continues to attend business management and development seminars. Dr. Megan Kenny is a professional veterinary surgeon at Gilabbey Veterinary Hospital with a special interest in behaviour. Megan did her under graduate degree in zoology at Michigan State University and completed her bachelors of veterinary science. Megan has studied in Africa and India specifically in conservation medicine and population management. She began practicing in the US focusing on just small animal medicine and surgery. After this she moved to Ireland and started to work at Gilabbey Veterinary Hospital. She has completed many courses since, she is currently just finishing a certificate program in small animal soft tissue and orthopedic surgery. Ilse Sas has been working professionally with dogs for well over a decade now. In a very varied career she has managed a dog shelter, worked as a dog assessor for an assitance dog charity, run dog training classes and taught Animal Welfare, Animal Rehabilitation, Animal Welfare and Dog Grooming. 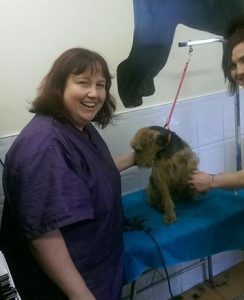 Ilse’s main interest lies in teaching, whether that be dog grooming, animal welfare or dog training. Her varied background allows her to combine all her theoretical knowledge and practical skills to provide a well-rounded dog grooming course, resulting in students that are well prepared for the workplace. Lyndsey Power DipCABT has a diploma in The Principles in Companion Animal Behaviour and Training from The Centre of Applied Pet Ethology (COAPE) and a dog training certification FETAC Level 6. Lyndsey has been working with dogs for 10 years and continues to attend seminars and courses to update her skills and knowledge. 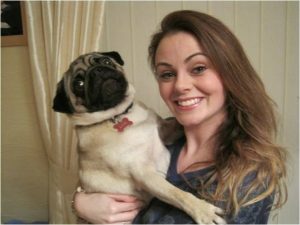 Lyndsey has professional membership with the Association of Pet Dog Trainers of Ireland APDT and is also a member of The Institute of Modern Dog Trainers IMDT. 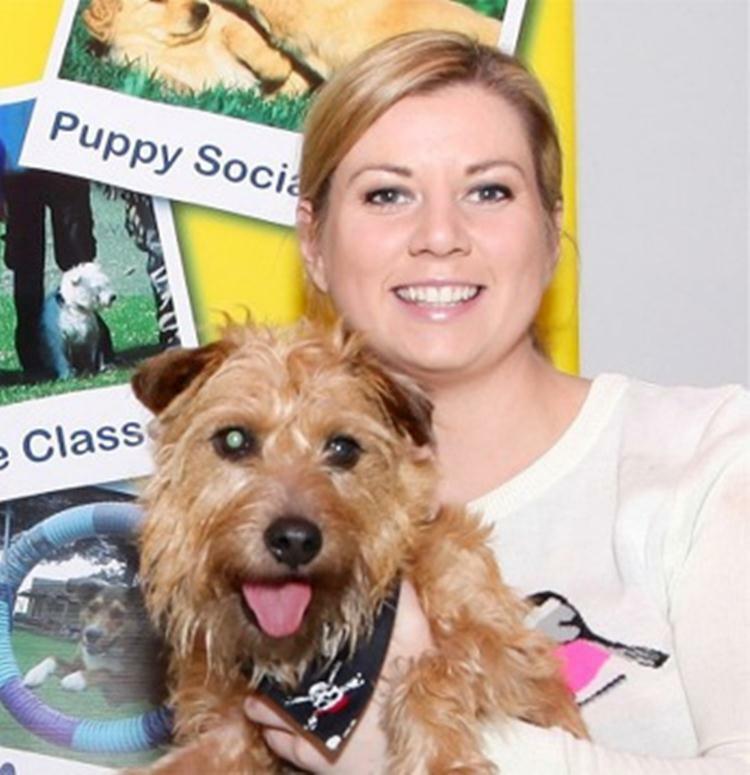 Lyndsey is the owner of Inn The Doghouse, an established doggie daycare , grooming and training centre based in Waterford City and won Waterfords Best Young Entrepneur in 2014. Prior to her dog care career, Lyndsey obtained a degree in Applied Chemistry but left this field to pursue her dreams in the dog related industry. She is head stylist in the busy grooming salon at Inn the Doghouse, and is also head trainer and behaviour advisor. Ray Coppinger – APDT Ireland – What Makes Your Dog Tick? Lyndsey is currently in the process of becoming a Certified Dog behaviour Consultant with the International Association of Animal Behaviour Consultants. Sinead Kavanagh is a qualified and registered veterinary nurse in both Ireland and the UK. She has been working professionally in the industry for almost 10 years, and continues to educate herself. 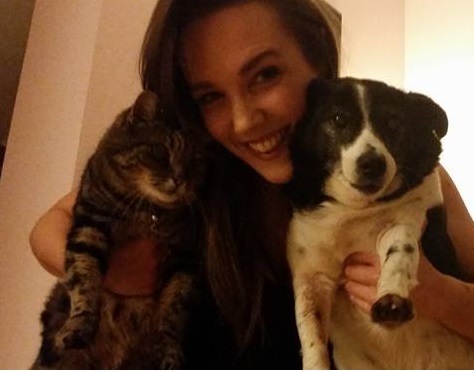 She is currently studying for a superiour degree in veterinary nursing at Edinborough University. Sinead has a special interest in cat behaviour and care, continuing to study and specialise in this field.